Jeff Gordon’s son, Leo, made his first laps driving a quarter midget earlier this month. He had a lot of fun! Leo’s big day has been in the making for over two years. He was fitted for the car in August 2015 soon after his fifth birthday. Leo’s older sister, Ella, started driving a quarter midget in 2014 when she was 6. 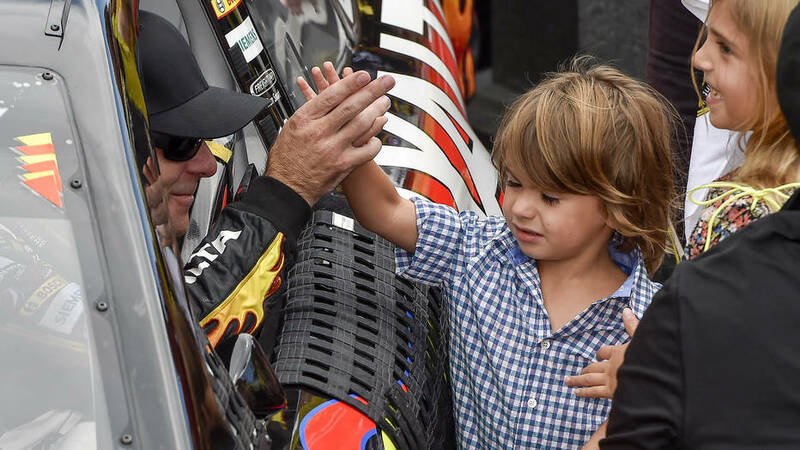 When Leo’s father, NASCAR legend Jeff Gordon, retired he was still on top of his game. He’d finished third in the 2015 Sprint Cup Championship. Jeff won all four of his Cup Championships in the No. 24 Chevrolet for Rick Hendrick. Just an FYI - Leo will be eligible to compete in the Camping World Truck Series when he turns 15 in 2025. We will just have to wait to possibly see a Gordon, be it Leo or sister Ella, back on the NASCAR Circuit.